Hamster shows give owners and breeders the chance to display their prize animals, meet like-minded enthusiasts, and compete for prizes. It can be a daunting experience for a newcomer but it needn't be - it's actually a very simple process, and you will find that everyone is more than happy to help you get settled in. Here's a guide to what you can expect at a hamster show, and how the animals are judged. 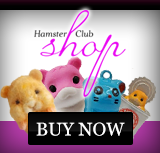 Firstly, your hamsters need to be submitted to the appropriate class. These are usually determined by hamster type, hair length, and colour. It's common to enter your animals into the show in advance, to save on paperwork once you arrive. The judges will be given colour standards for each category. These describe how a hamster of a particular colour should look, and gives them criteria to assess your creature against. For some classes, no colour standard has yet been established, and so it is excluded from the judging criteria in these cases. Next, there may be several sub-classes. For example there might be a Junior class for young competitors, and a Breeder class for professional breeders. 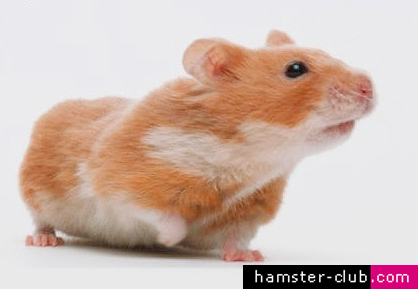 There is also usually one overall prize which is given to the best animal from all of the sub-classes.When you arrive at the show, you register with the event administrators, who will direct you to the particular area for your class of hamster. You will be given a place to put your hamster, usually in a standard-sized box to ensure everyone is on the same footing. You then simply leave your hamster there until the judges come round to assess them all. At the end of the show, the prizes are awarded, including a Best In Show award for the overall event winner. After this point you can also gain feedback on your animal, and see its scores, which is an excellent way to improve for the next show. Showing your hamsters can be a daunting experience for the first-timer, but it is highly rewarding, and you will find that there's a really community spirit. Don't be afraid, just give it a go, and you may find that you soon have a new favourite hobby. 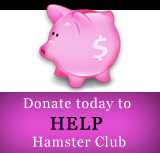 Click here to read another hamster article about Hamster Shows.